Billions of cells die every day in the human body. This is required for normal development and physiology, as well as the elimination of errant cells. Apoptosis and other cell death mechanisms are complex and carefully controlled. If cell death does not occur when it should, cancer and other diseases may develop. Written and edited by experts in the field, this collection from Cold Spring Harbor Perspectives in Biology covers all aspects of apoptosis, autophagy, and necrosis. Contributors describe in detail the molecular mechanisms of cell death signaling, including death receptor-ligand systems, BCL-2 family proteins, mitochondrial permeabilization, the endocytic pathway, caspases, and signals that trigger the clearance of dying cells. Survival mechanisms and proteins such as IAPs that antagonize cell death are also described. This volume includes discussion of tumor suppression, the altered metabolism of cancer cells, and the development of therapeutic drugs. 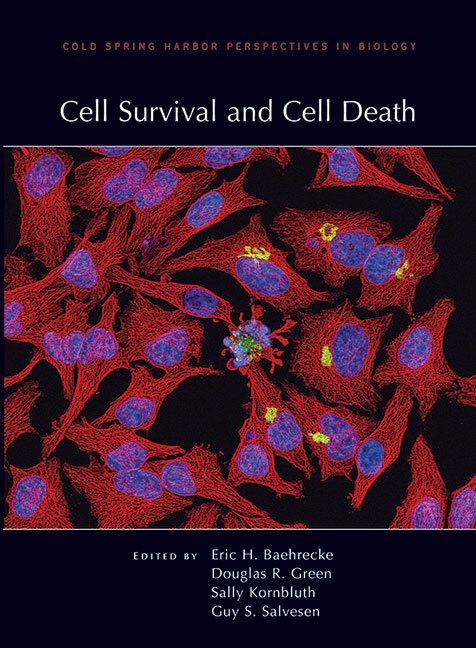 It is an essential reference for cell and developmental biologists, cancer biologists, and all who want to understand when and how cell death is required for life.